Some Crisis Intervention Thoughts Certification - Crisis Consultant Group, LLC. Have you ever gone to work only to realize you forgot your deodorant? I don’t know about you, but it’s happened to me. It’s a terrible feeling. You know you forgot it. You can smell yourself, it’s uncomfortable and, maybe, you’re in a position where you can’t do anything about it. Let me repeat, it’s a terrible feeling. Learn more about our industry standard crisis prevention intervention training today. Wouldn’t it be nice to work at a Krispy Kreme doughnut shop? Oh man, that would be good! I love those doughnuts, and every now and then I just have to slip one of those in. A lot of us have these ideas of what it would be like to have a different job, live in a different place, and do something different for a living. Quite honestly, in every job we think is easy, hard work is required. Over the years, people have said to me, “Brendan, it must be great to travel, to teach, to meet all these people, and do this fun stuff.” Sure, there are some positives to it, but I can tell you that, in the 28 states (as of this writing) where CCG has been utilized, I know almost nothing about those states. I can tell you what every hotel near the local regional airport is like, and I can tell you whether or not they offer a continental breakfast. I could probably even go down the list and tell you exactly what that breakfast consists of in every Hampton Inn or Holiday Inn across the country. 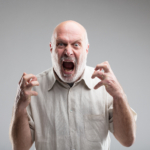 Learn how to deal with irate customers using our de escalation training customer service. “Ah, well that’s still fun,” you say? Yeah, it is fun when you go away on vacation and you get a free breakfast, but when you travel a lot, and you’re sitting in the airport dealing with flight delays and everything that goes with it, it’s not as much fun. There are always hard parts to it. Don’t get me wrong, there are benefits, but the reality is that the grass isn’t always greener on the other side. Everything takes work. There may be things in your life that are worth changing simply because you want them to be better. Don’t mistake that with thinking that somebody has an easy job, or they’ve got it a little better than you. Just because all you see them do is go to work and type paperwork every day doesn’t mean that’s all they do. There is, most likely, a lot more going on behind the scenes that you don’t see. What if you know exactly what their job is, and you say to me, “No Brendan, their job is super easy. They actually come into work and they push a button. That’s all they do all day long. Oh, and they watch a computer screen. That’s it.” Okay, that’s probably not very difficult, but what about the other 18 hours of their day, or whatever time they spend not at work? I wonder what’s going on in their life that is probably more difficult than yours. Remember, there is hard work in every easy job. Be cautious that you don’t judge a crisis or person by their cover.